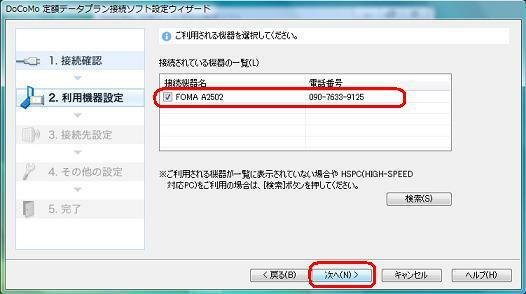 Make sure your Foma High-Speed communication device is connected to your computer, then click the Next (N) button. 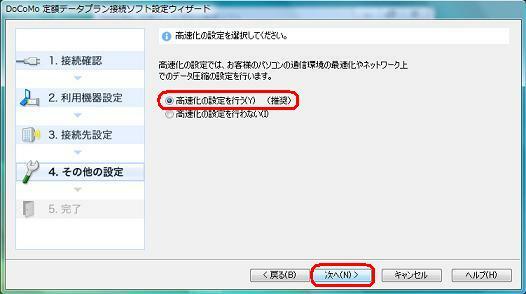 Check the box for the device you are using, then click the Next (N) button. 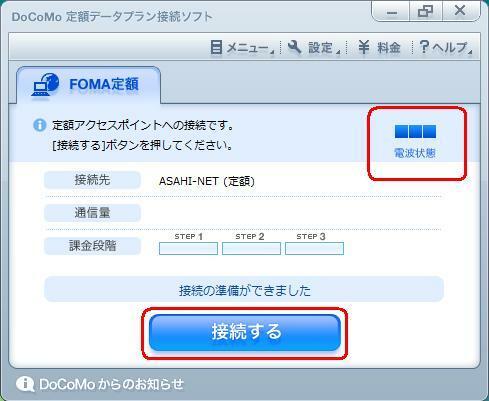 Click the ISP Shitei (I) (Set the ISP) button. 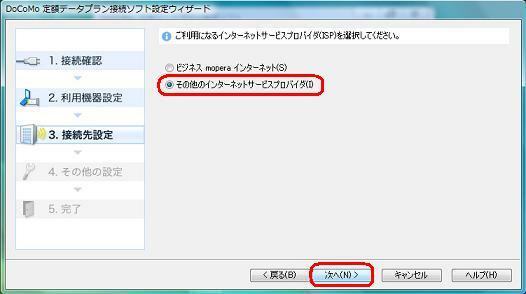 Check the Sono ta no Intaanetto saabisu probaida (I) (Other Internet Provider) option, then click the Next (N) button. 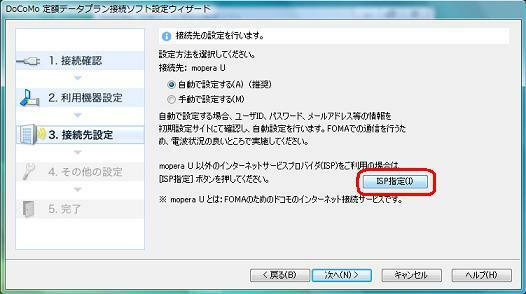 Click the Next (N) button. 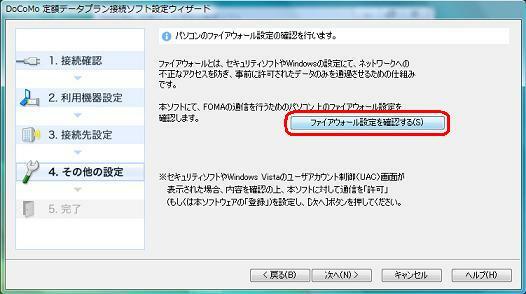 Click the Faiauwouru settei wo kakunin suru (S) (Confirm Firewall Settings) button. 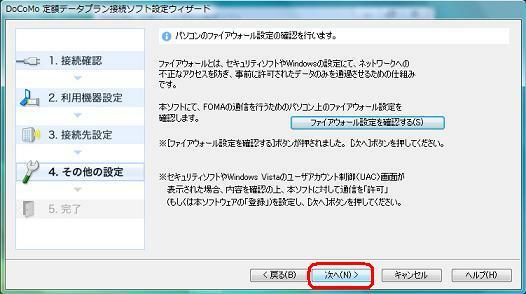 When the confirmation screen appears, click the OK button. 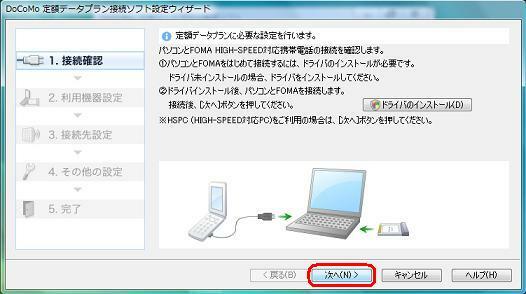 Click the Kousokuka no settei wo okonau (Y) (Use high-speed settings) button, then click the Next (N) button. 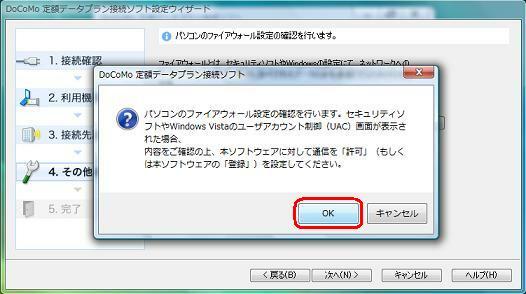 The Denpa Joutai (Signal State) icon will allow you to confirm that there is a signal available with which to make a connection; if there is click the Setsuzoku suru (Connect) button. 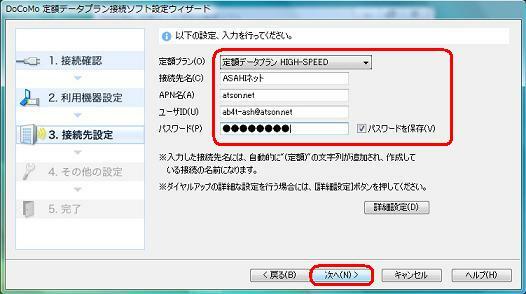 Thank you for visiting the [FOMA High-Speed Flat-Rate Service : Asahi Net : Internet Software Guide] page of Asahi Net, the Internet provider.